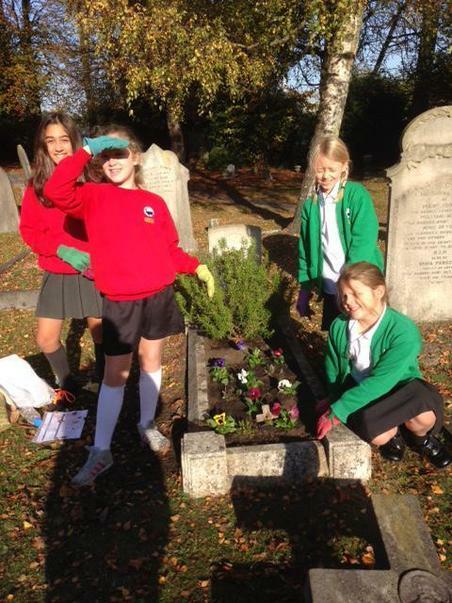 Some of the pupils from Year 6 went to Teddington Cemetery this week. The grave that the children look after is one of the former masters of Stanley Primary who lost his life in WW1. All the staff and children will be marking 2 minutes silence on Friday around the school war memorial.